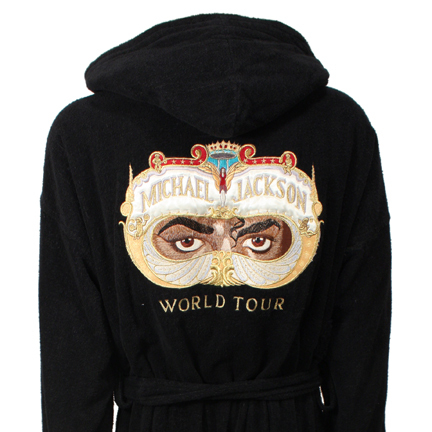 This robe was worn by one of the dancers during performances of Michael Jackson’s “Dangerous” World Tour. 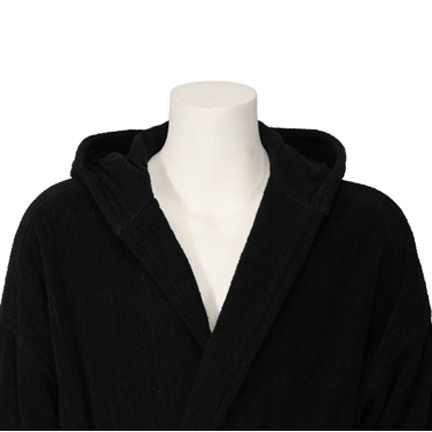 A limited number of these robes were produced for exclusive use by performers on the tour who would wear these robes prior to or after the show and when resting between numbers / costume changes. 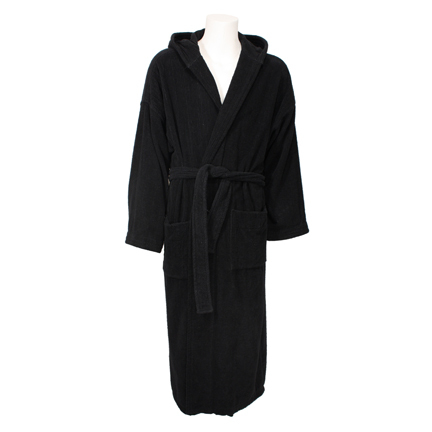 The long black terry cloth robe with matching sash belt has two large pouch pockets at the waist, and an oversized hood. 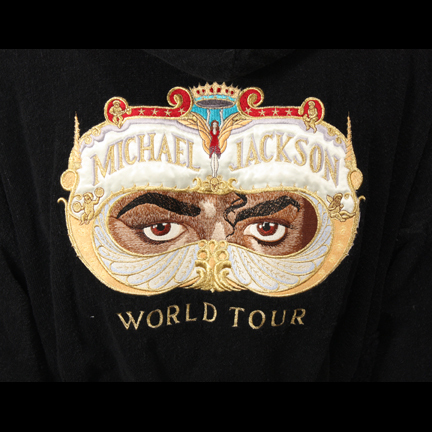 The back is decorated with an elaborate satin embroidered patch which reads “Michael Jackson, World Tour” with the signature “Dangerous” World Tour logo of Michael Jackson’s eyes surrounded by a decorative mask embellished with cherubs and a winged female fairy holding a crown (in reference to Mr. Jackson’s status as the undisputed “King Of Pop”). 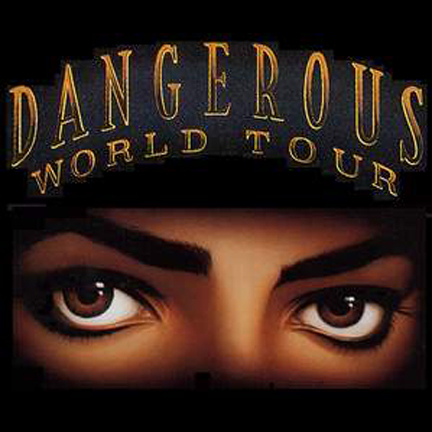 The “Dangerous” World Tour was the second world concert tour by Michael Jackson as a solo artist and ran from June 27, 1992 to November 11, 1993. 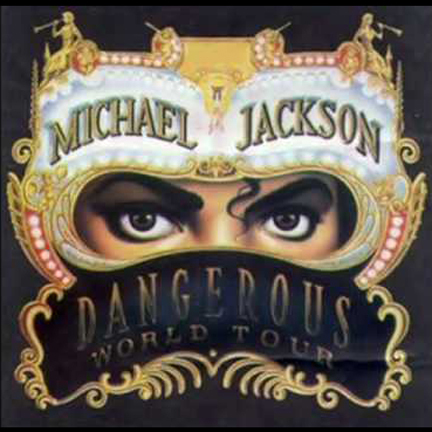 The tour was comprised of 69 concerts throughout Europe, Asia, and Latin America and was seen by approximately 4 million fans. 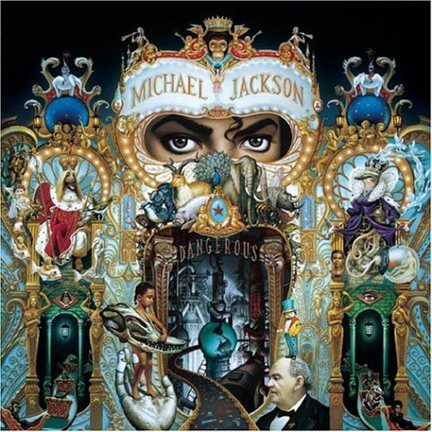 All profits from the tour were donated to various charities including the new “Heal The World Foundation” that had been recently set up by Mr. Jackson earlier in 1992. 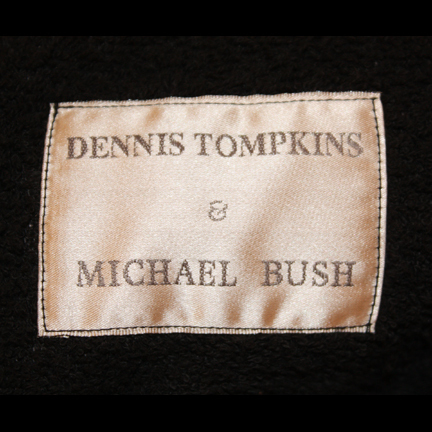 The garment is in very good condition. Presented by The Golden Closet, your premier source for screen used wardrobe, props, and collectible music entertainment memorabilia.